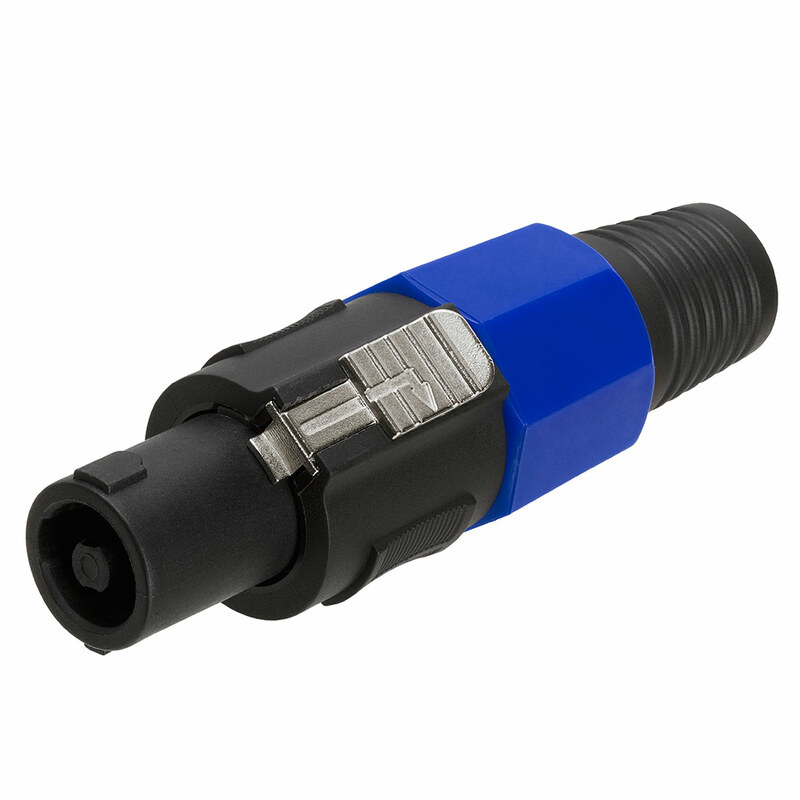 A locking system of the Speakon connector provides a good fit for soldered connections. The contacts in the Speakon connectors are arranged in two consecutive rings: the inner contacts are named +1, +2, etc., and the outer contacts are named −1, -2, etc. 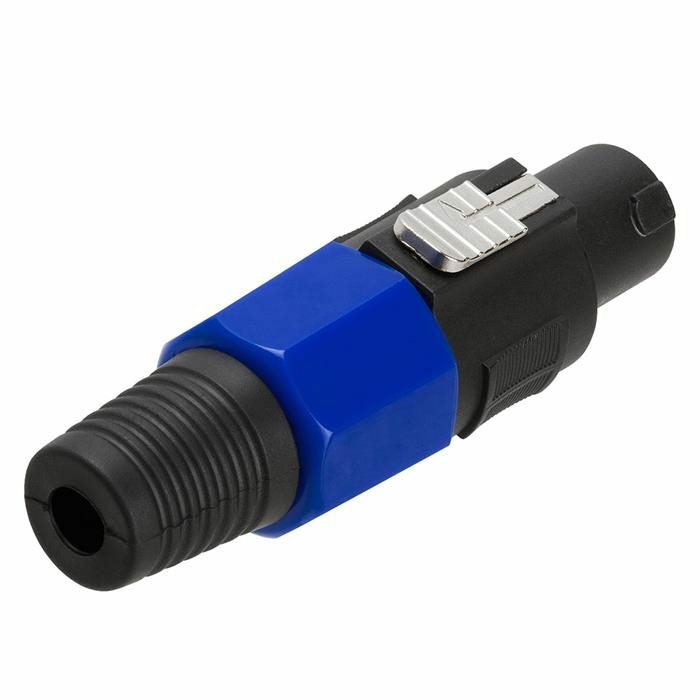 A bi-amping without two separate cables feature of the four-pole connector makes it the most popular and most commonly used among ready-made leads. 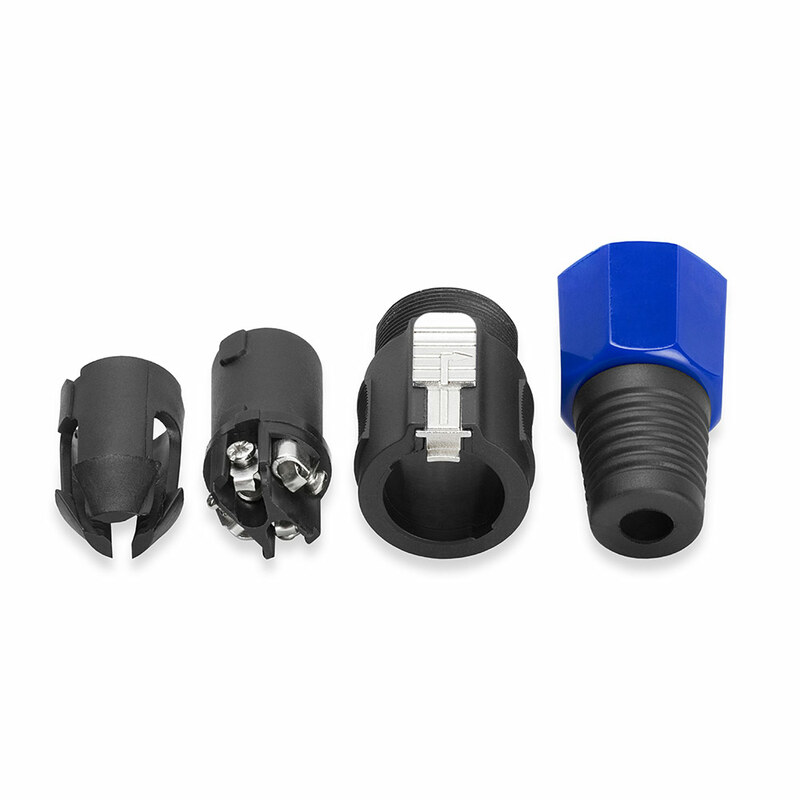 This Male Speakon connector is an assembly of 4 parts which comes apart in order to attach the wires to the connector conveniently.